Designed after paradise, this home has it all! The sunset views are stunning. 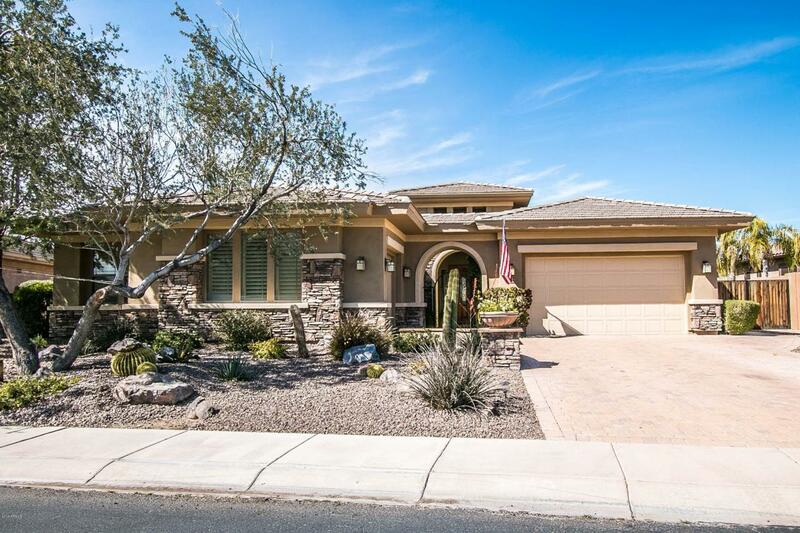 This meticulously cared for home has an open floor plan with 4 bedrooms plus a game room. Three bedrooms have their own bathrooms. The gourmet kitchen boasts beautiful granite, large island, gas stove, double ovens, wine fridge and much more. Large living room with gas fireplace with a stone finish. Spacious master suite with door to the pool. The master bathroom has been upgraded with all tile snail shower, and a deep custom tub. Don't forget the Huge walk-in closet. Outside is an entertainers dream. This backyard has it all BBQ island, grass yard, spa, and a nice cool pool for those hot summer days. Too many upgrades to list. All of this on a oversized lot with RV gate in beautiful Vistancia.